This book contains a detailed explanation of the world of The Other Side, including several stories showcasing the influential characters and allegiances of that war-torn world. 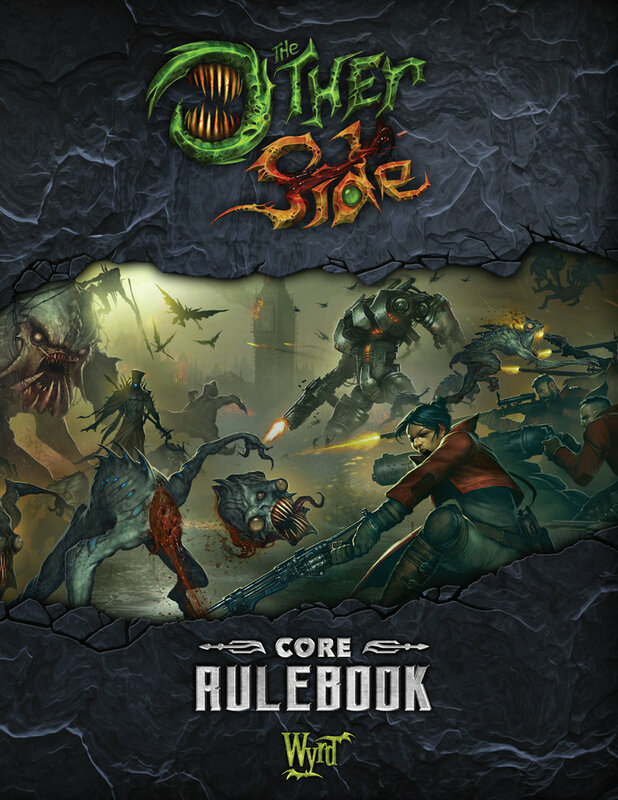 It also contains all of the rules needed to play a game of The Other Side. The year is 1906. A tyrannical organization known as the Guild is keeping the world under its thumb and has been for nearly a century. The undercurrent of dissent and rebellion among the nations of Earth grow closer to the tipping point with each passing day. Just as tensions reach their height, dimensional portals open around the world of Malifaux to Earth, and death and destruction follow in their wake. It is time to take up arms and fight to save (or conquer) the world! Command squads of troops, twisted monsters, and giant robots as you struggle to claim the battlefields of Earth for your own. #WYR 40001 - Price: $ 60.00 - $ 48.00 On Sale!